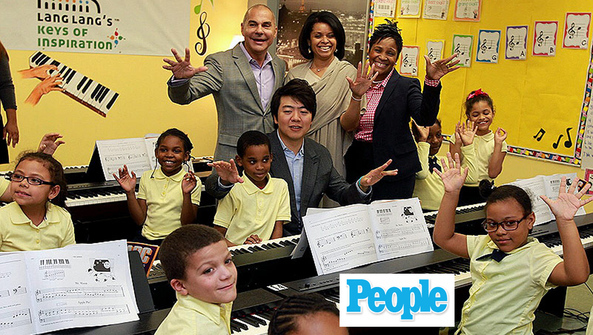 When it comes to expertly tickling the ivories, Chinese pianist Lang Lang's your man. The 33-year-old musician, whose new album Lang Lang in Paris was just released, hails from Shenyang, where he showed so much promise at age 2 his parents saved half a year's salary to buy him his own piano. "When I was 5 I had my first recital," he tells PEOPLE in this week's issue. "I was so nervous the night before I went to the bathroom about 20 times! But then on stage I felt so comfortable. From then on I made it my dream to be a pianist."